ARE YOU READY FOR SOME FUN CAMPING? We are excited to be offering a three-day, two-night camping trip for our youth ages 11-14! 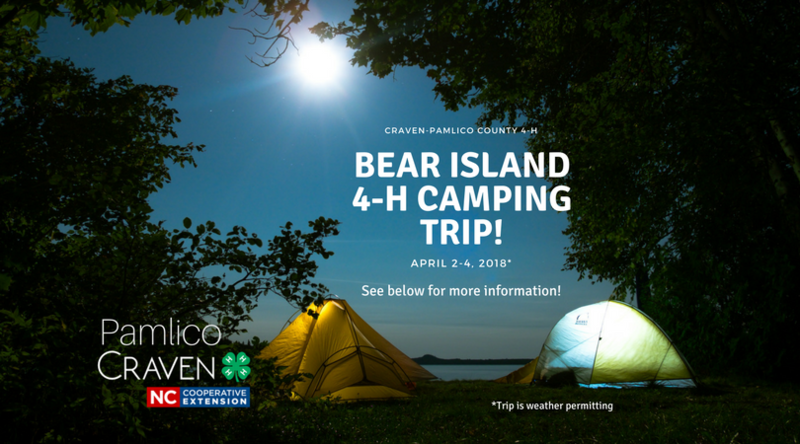 This great camping experience at Bear Island will include great how-to experiences in overnight camping, packing, exploration, wildlife, and habitats along with some fun fishing and stargazing! MARCH 28, 2018 6:30 p.m. If you need any equipment such as a tent, sleeping bag, etc, we can rent them. Please note that if youth require a tent, they may have to share with appropriate gender/age. If youth have their own equipment, they are welcome to bring and use it, provided it is adequate. • Is It Time to Plant?